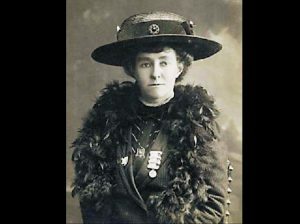 On the anniversary of the death of Emily Wilding Davison, the suffragette who lost her life through injuries sustained falling under the King’s horse on Derby Day in June 1913, it is important to reflect on her role in the women’s campaign for the right to vote, and her daring approach in attempting to achieve this goal. The anniversary of her death on 8 June 2017 has coincided with the general election and is a timely moment to reflect on Emily’s determination to obtain the franchise fo r women. 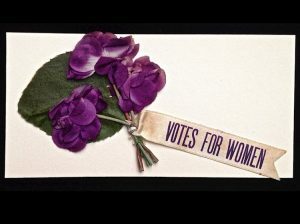 104 years later, two UK female Prime Ministers have attained the highest office in politics, yet it seems not so long ago that Emily and her other suffragette colleagues were fighting for something much simpler, merely for a democratic voice in a society which expected women to pay taxes but denied them even the most basic of political representation. Emily, like other women of her time, faced discrimination from the outset where she attained a university education but was not allowed to formally graduate like her male counterparts. Emily joined the Women’s Social and Political Union (WSPU) in 1906. She had worked as a teacher but gave this up in 1909 to become a full time and unpaid suffragette, never actually being remunerated for her efforts. Some have argued that this was because Emmeline and Christabel Pankhurst, the force behind the WSPU, held tight reigns on the strategy of the suffragette movement and Emily’s physical tactics were not universally welcome within the organisation. It did not take Emily long to engage in direct action for the suffragettes, such as breaking windows, setting fire to post boxes and causing public disturbances. In 1909 sh e faced one of her toughest stints in prison when she was incarcerated in Manchester’s Strangeways prison and endured a month’s hard labour for throwing rocks at the carriage of the then Chancellor of the Exchequer, David Lloyd George. Like other suffragettes who faced prison, she went on hunger strike and faced the horrors of force feeding. Emily’s misdemeanors in the name of the suffrage campaign caused increasing friction between her and the Pankhursts, who saw her as a loose cannon in an otherwise tightly run campaign. In Parliament a plaque was placed by Tony Benn MP in 1991 acknowledging the role of Emily in the fight for the women’s franchise, since on the evening of the 1911 census she hid in a broom cupboard so that she could record her address as the ‘House of Commons’ in a bid to symbolize the same political rights as men. Despite tensions within the suffragette movement, Emily’s death ensured that she was brought back into the fold and her funeral was filled with symbolism associated with the organisation. It has been debated ever since whether her actions on Derby Day were deliberate or an unfortunate miscalculation. She was prone to actions that endangered her safety, such as throwing herself over railings twice whilst in Holloway Prison. Whilst these acts were dangerous they created attention and public awareness in a society that was so dismissive of women’s rights, and who regarded women as hysterical and irrational if they dared to challenge the status quo. In this respect she played into the hands of prejudice but also gained much needed attention for a cause that was so fundamental to the basis of a proper democracy. Emily has been described as ‘mad’, but by targeting the King’s horse on Derby Day she aimed directly at the State and pricked the conscious of a society facing deep inequality. This project involves piloting innovative methods to understanding active travel inequalities. In collaboration with Colleen Donovan-Togo from St Clement’s Community Centre, Ordsall, Nick Davies organised a workshop in April which involved input from community members and practitioners from numerous organisations involved in the low-carbon travel agenda in Greater Manchester, including TGFM, Sustrans, Living Streets and Salford City Council. The workshop drew out community-specific issues for the Ordsall area which are now being taken forward in a series of focus groups, community engagement events and interviews. The project will also result in a short film which will be used to highlight the issues, barriers and enablers for walking and cycling in the area. Discussing the progress of the project, Nick suggests that: ‘So far the research has highlighted the role infrastructure plays. Construction, development and the roads in the area can be seen as sometimes discouraging active travel to, from and within the Ordsall area. 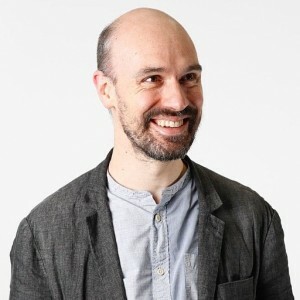 This can be remedied by a more joined up approach to highlighting safe routes, connectivity and intermodality; and in particular more attention to ensuring low-carbon options are more accessible in the whole of the area’. It is intended that this will lead onto a longer-term project and research council bid. 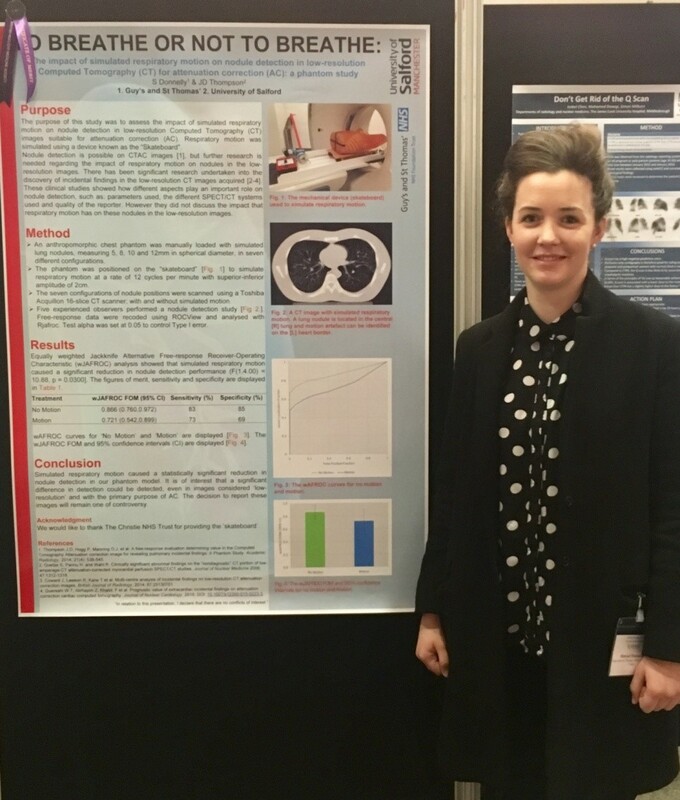 Dr John Thompson and Sinead Donnelly won a certificate of merit at this year’s British Nuclear Medicine Society’s annual conference. Sinead is an MSc dissertation student on our MSc Nuclear Medicine (Radiography) at the University of Salford and John is her supervisor. The poster focused on a quantitative assessment of simulated respiratory motion using a lung phantom. A bespoke piece of equipment known as the ‘skateboard’, on loan from The Christie, was used to simulate the speed and amplitude of respiratory motion. The aim was to determine whether this simulation of breathing motion had an impact on lung cancer detection performance; a comparison was made between breathing and breath hold. Detection performance was found to be statistically worse when motion was simulated, suggesting an advantage of a breath-hold technique for nodule detection in low-resolution CT images. 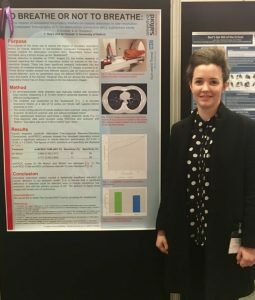 This work continues a 7 year stream of work from the Diagnostic Imaging Research Programme where the value of the x-ray computed tomography [coincidental] image has been evaluated for diagnostic value from heart imaging using SPECT/CT. SPECT/CT is a common technique used for assessing heart muscle viability in cases of ischemia and infarct. 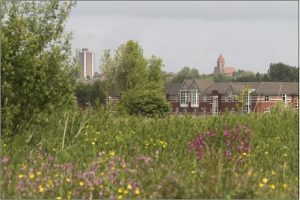 THE University of Salford will lead the way in helping to create more energy efficient cities, after receiving a €425,000 grant from the EU. Buildings waste huge amounts of energy but annually just 1-2% of the building stock of cities is upgraded for efficiency – a process known as retrofitting. It is estimated that the majority of European building stock will need to retrofit at a rate of 2.9% a year to achieve the target, versus the current 1.2% rate, in order that EU achieve its emission reduction targets by 2050. However, current retrofitting processes are expensive, and face many uncertainties and complexities. Experts in the School of the Built Environment are partners in a €8.7 million project, and will lead the development of a knowledge-based tool which will select the integrated solutions with highest impact. 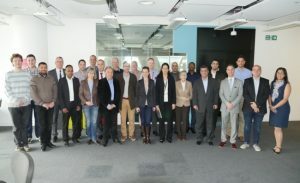 The other nineteen industry and academic partners involved in the project are from the UK, Spain, Belgium, Bulgaria, Germany, Italy, Greece, Bulgaria and Estonia. The wider project will explore innovative components, processes and decision making methodologies to guide all value-chain actors in the building renovation process; including a specific knowledge based tool for Real Estate Industry. Professor Fernando, Director of the School of the Built Environment’s THINKlab and an expert in digital visualisations and simulation, said: “This project offers us further funding to continue our work on designing energy efficient buildings and neighborhoods that we have been doing over the last three years as a part of the Design4Energy project. 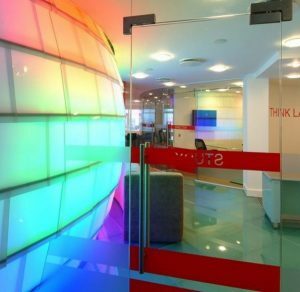 This new technology platform will be built on the THINKlab’s ongoing work on advance data visualisation and building simulation. 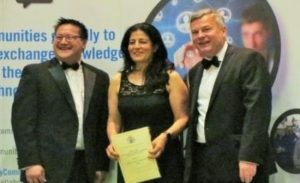 Professor Haifa Takruri-Rizk from the School of Computer Science and Engineering has been recognised once again for her work to attract more females into engineering. Prof Takruri-Rizk was awarded an Outstanding Achievement Award at the recent North West Engineering Excellence Awards held in Manchester. The joint award is from the Institute of Engineering & Technology (North West), the Institute of Mechanical Engineering and the Institute of Chemical Engineering (Manchester branches). Earlier this year, she was the key speaker at an event organised by Barclay’s Academy to inspire hundreds more schoolgirls to follow careers in electronic engineering and computer science – the latest in a raft of ‘mentoring’ work she undertakes including the annual summer school for young women. Through her expertise in electronics and mobile networking, and initiatives to address the participation of women and ethnic minorities, Haifa has worked with the BBC, Opportunity Now, the Royal Academy of Engineering, Skillset, Equal Opportunities Commission, Women’s Engineering Society, UK Resource Centre for Women in SET, Science, Engineering, Manufacturing and Technologies Alliance (SEMTA) and many others. Furthermore in 2009 she was awarded the MBE for services to women, black and minority ethnic people in science, engineering and technology education. 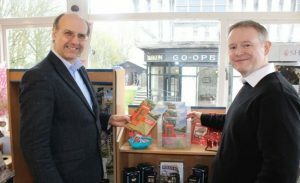 Professor of Telecommunications Nigel Linge and Visiting Professor Andy Sutton, both from the School of Computing, Science and Engineering, last week launched their second book ‘The British Phonebox’ at Avoncroft Museum in Bromsgrove. 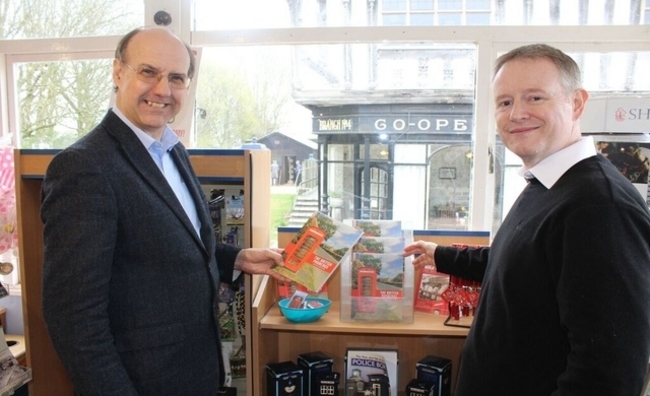 The Avoncroft Museum of Historic Buildings hosts the National Telephone Kiosk Collection and as Nigel said, “when you have written a book about phone boxes, where else would you choose to launch it but at the museum that is the home of the kiosk”. Despite the fact that phone boxes have declined in number and are used less and less each year, the older red ones have become icons of Britain, recognised the world over. 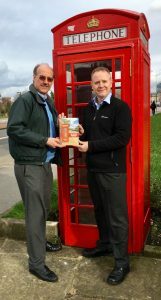 Nigel and Andy’s book not only traces the origins of the British phone box from its birth in 1884 but also includes details and photographs of all major versions that have appeared on our streets and proves that the phone box still has a future by showcasing new designs that are being introduced this year. 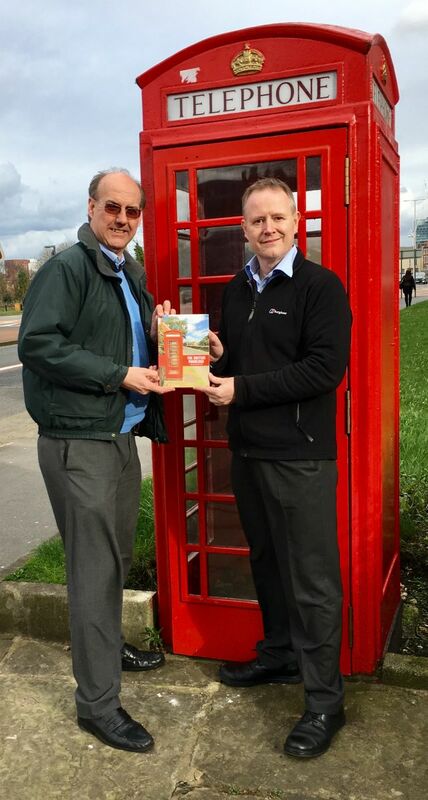 The British Phonebox is published by Amberley Publishing. Their first book, ’30 years of Mobile Phones in the UK’ was also published by Amberley in 2015. 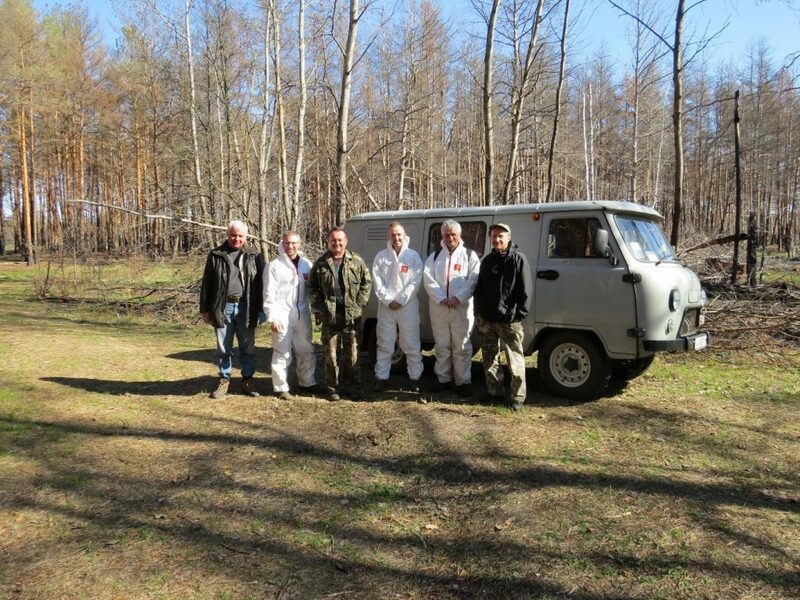 Award-winning researcher, Dr Mike Wood, is back in Chernobyl. 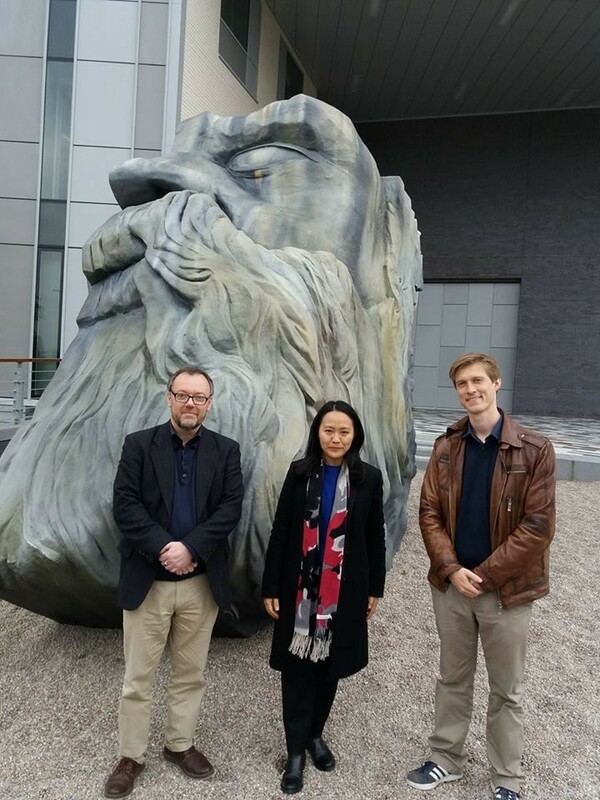 This time he’s accompanied by fellow Salford academic, Dr Neil Entwistle, as they undertake fieldwork in Chernobyl’s ‘Red Forest’ for their latest NERC grant. The Red Forest is the most anthropogenically contaminated radioactive ecosystem on earth. Located just a few kilometres from the Chernobyl Nuclear Power Plant where the 1986 accident occurred, this 4 – 6 square kilometres area of coniferous forest was killed by high radiation levels. Before the trees died, their needles turned a red/orange colour and the area was named the Red Forest. In the 30 years since the accident, the area has transitioned into a deciduous woodland (deciduous trees are more resistant to radiation than conifers). A severe fire in the Red Forest during July 2016 was reported to have burnt approximately 80 percent of the forest. This presented a unique opportunity to study the effect of fire on i) radionuclide mobility/bioavailability and ii) the impact of radiation on the recovery of the forest ecosystems exposed to another stressor (ie. fire). The new NERC grant, RED FIRE (Radioactive Environment Damaged by Fire: a Forest in Recovery), is funding an international research team to study the aftermath of the fire. Dr Wood and Dr Entwistle, both from the School of Environment & Life Sciences at the University of Salford, are working in collaboration with the Centre for Ecology & Hydrology, University of Nottingham, Chornobyl Center, the Ukrainian Institute of Agricultural Radiology and the Norwegian University of Life Sciences. 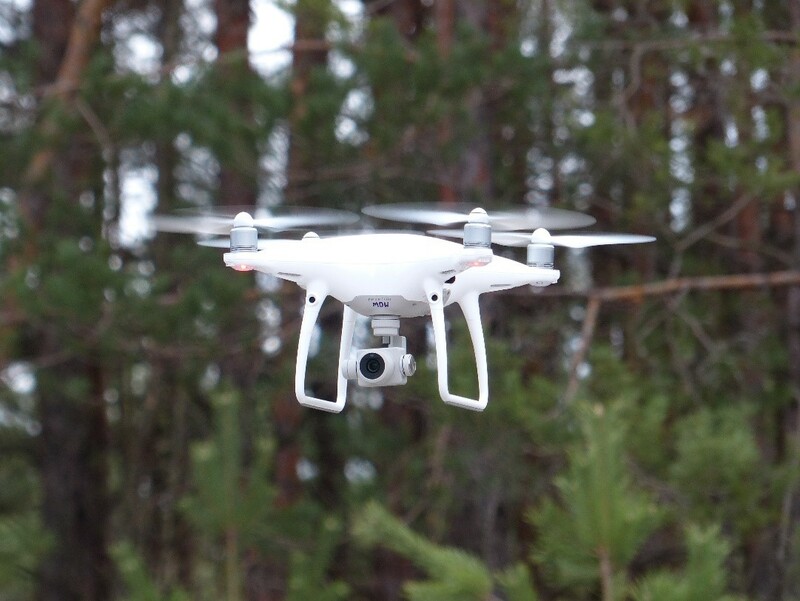 The team are using a combination of techniques, from soil analysis to drones, to study the fire damaged area. The project builds on Dr Wood’s previous radioecology research collaborations, including those developed through the NERC TREE project (www.ceh.ac.uk/TREE). Dr Entwistle, an expert in drone-based research, is a new and valuable addition to the research team due to his specialist expertise. RED FIRE is led by Prof Nick Beresford at the Centre for Ecology & Hydrology. Initial findings from the project will be reported at the 4th International Conference on Radioecology and Environmental Radioactivity (ICRER) in Berlin in September 2017.